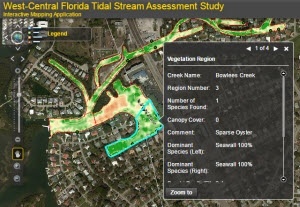 The Tidal Stream Assessment information presented here was compiled by the University of South Florida's Water Atlas Lake and Stream Assessment program, work which was performed as part of the Sarasota Bay Estuary Program (SBEP) Tidal Creeks Study project. 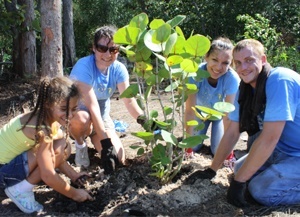 Phase I of the project was led by the SBEP in collaboration with the Charlotte Harbor National Estuary Program and the Tampa Bay Estuary Program, with funding from the United States Environmental Protection Agency in support of US EPA Wetland Development Grant No. 00D01212a. Phase II assessments were conducted in Manatee and Sarasota counties and were funded by SBEP. For questions and/or comments concerning the Tidal Stream Assessment Project please contact Dr. Jay Leverone (jay@sarasotabay.org, (941) 955-8085). 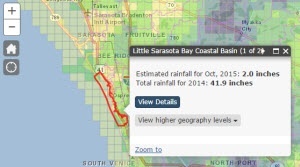 For comments or questions on this page please contact the USF Water Atlas program. 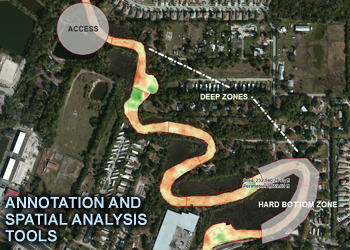 In the summer of 2013 the USF Water Institute was selected by the Sarasota Bay Estuary Program to conduct preliminary assessments of sixteen tidal streams along the west coast of Florida from the northern extent of Tampa Bay to the southern extent of Charlotte Harbor. (Two additional streams were later added.) The study was part of a larger effort that was funded by a grant from the US EPA Wetland Development Program. 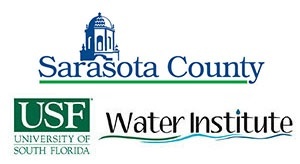 Also participating in the study was Janicki Environmental Inc. (primary contractor), Mote Marine Laboratory, Tampa Bay Estuary Program, Sarasota Bay Estuary Program, Charlotte Harbor National Estuary Program and associated county governments. 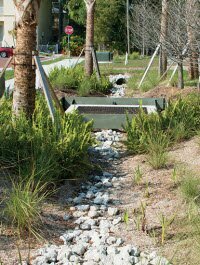 The primary focus of the project was to characterize the nutrient regimes along the tidal portion of coastal creeks. 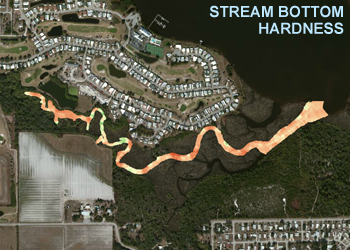 In 2014, SBEP directed the Water Institute to conduct Phase II assessments, collecting data on nine additional tidal streams within Sarasota Bay's watershed. 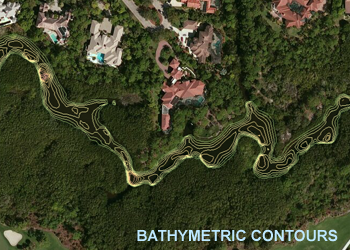 The Water Institute tasks included bathymetric mapping, vegetation surveys and habitat assessment. These tasks will serve as a foundation for the remaining sampling tasks involved in the study including: fish sampling, benthic chlorophyll sampling, macroinvertebrate sampling and water quality sampling. 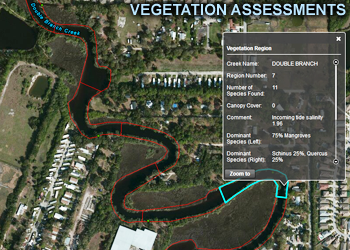 The interactive map provides spatial information for the 27 creeks selected by the partnership group for assessment. The 27 creeks are listed below. For each, there is a link to an assessment report (PDF), and a link to a zip file that contains supporting information (maps, vegetation list, shape files, etc.) The full report may also be downloaded at the link below. These reports collect the results of the Water Institute's portion of the assessment project. Each full report has maps and condition summaries describing bathymetry, vegetation, habitat assessment and bottom hardness for all of the tidal creeks surveyed. Contact any of the individuals at our partner organizations for additional information about the project.